Actress and filmmaker Deanna Sherman spent last weekend (Oct. 18 to 20) running from zombies. Or better said, the prospect of having to write, shoot, edit and deliver a 6-minute zombie horror film in less than 48 hours. It was all part of the 48 Hour Horror Film Project, a spin-off of the successful 48 Hour Film Project competition held each summer in Cleveland and cities around the world. Filmmaking teams are given a genre, character name, prop and line of dialogue – then they’re off, shooting an entire short in one weekend. But Sherman and her team came up with a unique story – something she swears is different than anything out there. Sherman grew up on Cleveland’s west side, in Westlake and Strongsville. She’s dreamed of acting since she was a little girl. 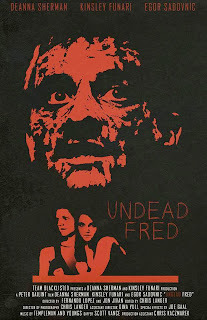 Fans can see Sherman in the upcoming horror film Raw Focus and the thriller I Found You. 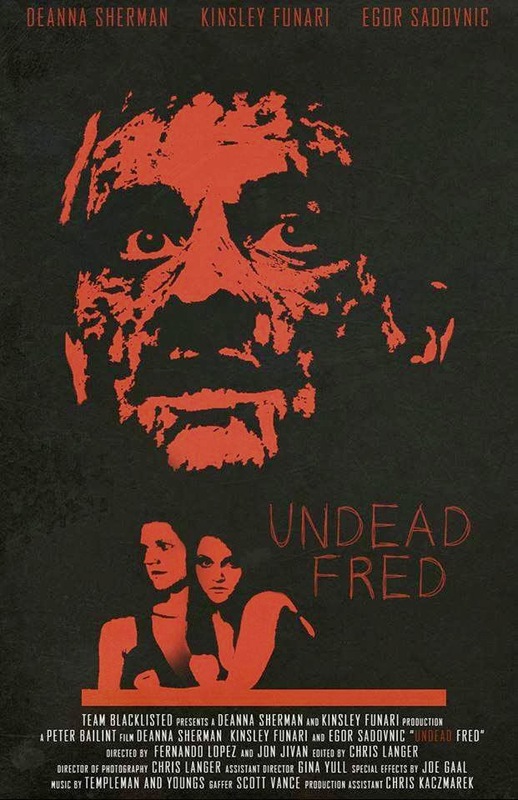 Oh, and Undead Fred, of course. DS: The anticipation of something happening – and then a loud boom or sound when you are least expecting it. DS: Honestly, I have yet to see a movie that literally scares me. I've jumped at certain movies before because of their timing, but nothing really freaks me out or gives me nightmares. DS: I'm not really sure if I have a horror inspiration, but I do look up to the well known horror scream queens like Jamie Lee Curtis, Neve Campbell and even Drew Barrymore from Scream. DS: We like to be scared to have that adrenaline rush and heart pounding sensation. It brings out the whole "fight or flight" mentality which heightens our senses and intuition. We are hard wired for survival and being scared brings that out in us. DS: My favorite movie of all time is Ferris Bueller's Day Off. This could make for an interesting horror if Cameron (or his dad) starts to go on a mass killing spree because he is so upset about the damage to his car. Or maybe Edie McClurg (Grace) secretly plotting to kill off students one bye one.